If you’re thinking about getting Invisalign in Lowell MA to straighten your teeth, then there’s no better place to do it than at Kangaroo Smiles Pediatric Dentistry. Dr. Mona and the entire Kangaroo Krew take the time to get to know each family that comes to visit. 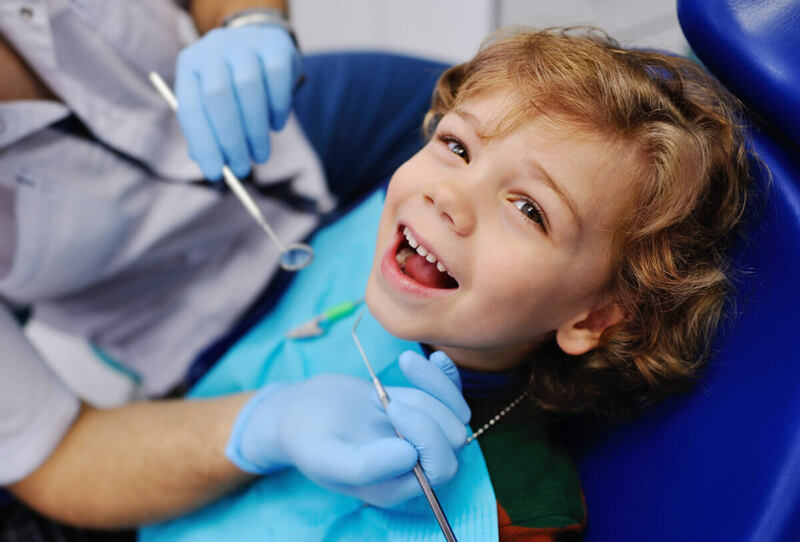 When it comes to correcting bite and straightening crooked teeth, you won’t find a better option in pediatric dentistry. Each patient who comes to visit Kangaroo Smiles receives a thorough growth exam from the dentist. If the dentist observes potential problems with your child’s bite, x-rays may be recommended. Whether you’ve already been diagnosed or are just starting out, a Kangaroo Smiles orthodontist in Lowell, MA can guide you through and ensure that all your questions are answered. If you’re worried about your child having difficulty with dietary restrictions, then braces may not be the best option. Wearing braces is a commitment that requires avoiding certain categories of foods (sweet, sticky, hard, etc.) and brushing your teeth after each meal. Invisalign presents an alternative that allows your child to keep eating these foods without worrying about negatively impacting the metal braces. With Invisalign, your child can remove the clear aligners when eating and drinking and reinsert them afterward. This flexibility explains why so many patients prefer Invisalign! Gone are the days of wearing metal brackets and wires for three or more years! Invisalign gives patients the opportunity to complete orthodontic treatment within 18 months when the rules are followed. The patient must keep the aligners in for at least 20-22 hours daily for this treatment to be effective. Every two weeks, a new set of aligners will arrive in the mail. Each set works to move your teeth gradually into the desired position. That means faster results, without multiple trips to the orthodontist! Is your child a self-proclaimed beauty queen? For some patients, aesthetics is a very important factor in their treatment decision. While some children prefer the fun, colored bands on metal braces, others love the clear, transparent look of Invisalign aligners. The big appeal for Invisalign fans is a custom-designed option that fits right into your life. Preteen patients are especially likely to choose Invisalign because they may feel overly self-conscious with a “metal mouth.” In these cases, the subtle appearance of Invisalign can be a winning option! If you’ve been seeking a provider of Invisalign in Lowell MA, then look no further! You can take advantage of the orthodontic services of our child-friendly office. To request an appointment or to learn more, please call us anytime at (978) 425-1496.